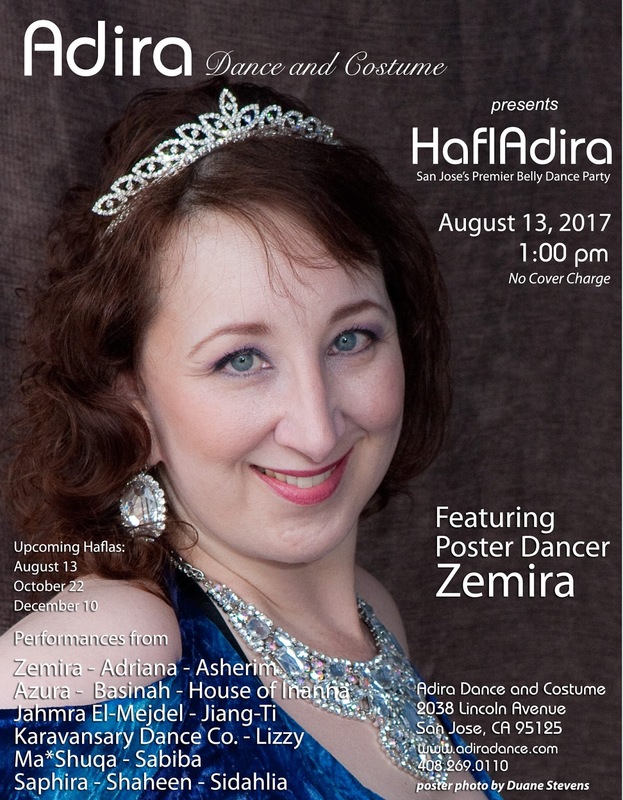 Zemira has been studying Middle Eastern Dance for 10+ years and has performed throughout the Bay Area. She is a livelong dancer who enjoys the art of Middle Eastern dance, is a founding member of the SF /BA MECDA Chapter. 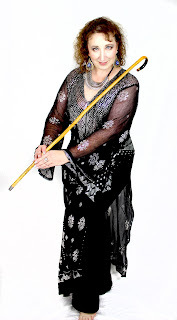 Currently she's collaborating with author Dawn Devine on the soon to be released The Cloth of Egypt: All About Assiut. I hope that everyone is having a good year so far. 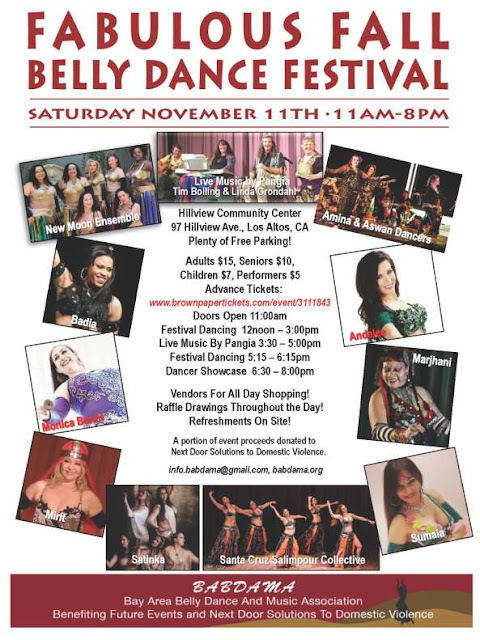 Now that March has begun so have some of this years Belly Dance events here in the Bay Area, so I thought I'd put together a post with some of the upcoming events that I'm looking forward to. My performance is scheduled between 12.30pm & 1pm. Here is a website link to the event information. Your admission includes the all day Festival Dancing & Shopping well as the Dancer Showcase which starts at 6.30pm. Here's a clip from a recent performance with Swirl at Haunted Hafla Adira on October 22, 2017 in San Jose, CA. For this Swirl troupe performance we were all adorned in Assiut robes and headdresses. Davina is in Royal Blue, Velinda is in Black and Gold, redvelvet is in a lovely Rust colored robe, and I am in Purple. I always enjoy attending the Haunted Hafla Adira and it was so much fun to be a part of the show. Adira Dance & Costume store is located at 2038 Lincoln Ave San Jose CA 95125. Here is the link to the website for your dance needs. Looking forward to performing on my birthday weekend! 6h Annual BAY AREA BELLY FESTIVAL - Sunday, APRIL 10th, 2016 at Angelicas, 863 Main St., Redwood City. This weekend is the Bay Area Belly Festival! Celebrate the Art of Belly Dance - Festival Hours 11:00 am - 7:00 pm. General admission $15.00 in advance or at the door. Non-stop dancing from Noon - 6:30 pm! Amazing section of live music by local band Tahneen. The Bay Area Belly Website is at http://bayareabelly.info/ for lots of up to date information. Zemira has had the pleasure of studying many different forms of Middle Eastern dance including: Egyptian and American Cabaret style bellydance, Raqs Asaya and American Tribal Style. Want to throw a memorable party, or surprise someone for their birthday or anniversary consider a Middle Eastern Belly Dancer! A short performance, or belly gram, is just the thing for a special celebration.